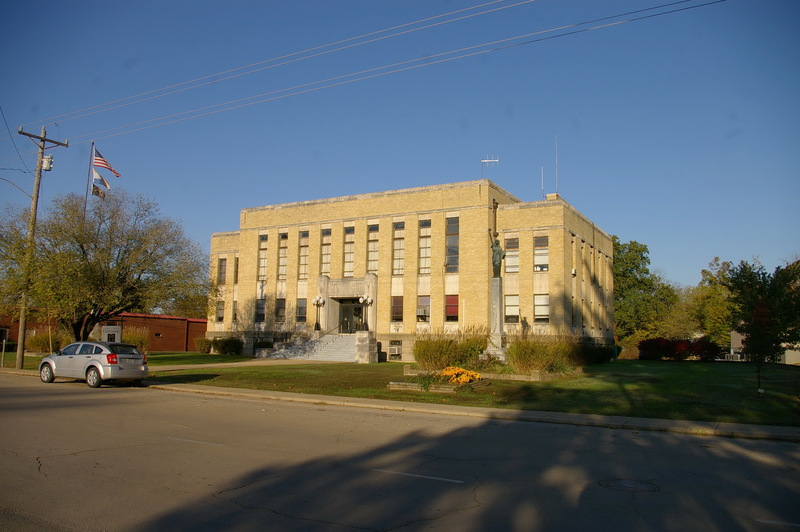 Description: The building faces southeast and is a three story buff colored brick, stone and concrete structure. 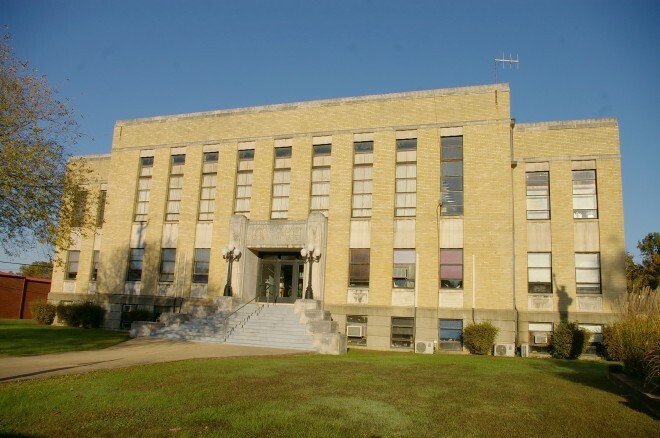 The southeast front has a projecting center section with narrow vertical brick divisions between the vertical windows. The entrance is framed with stone. There are east and west wings. The roof line is flat. This was a Works Projects Administration project. Note: A courthouse was built in 1849 and burned in 1854. 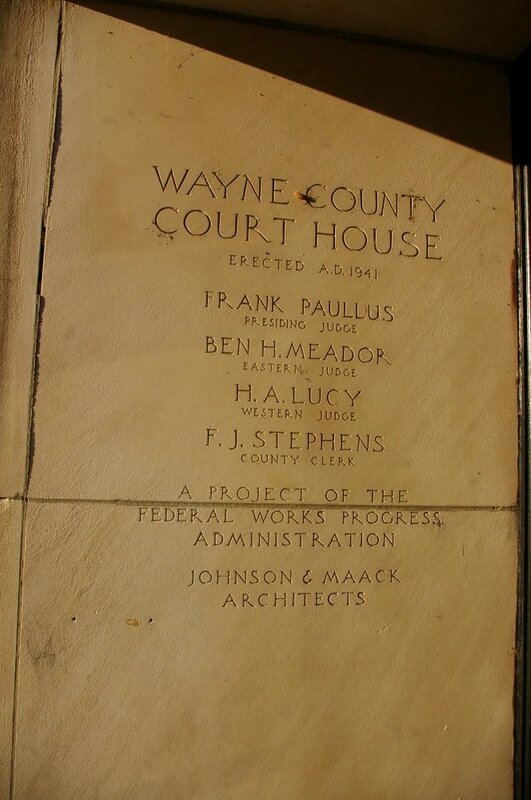 The next courthouse was built in 1856 at a cost of $2,500. 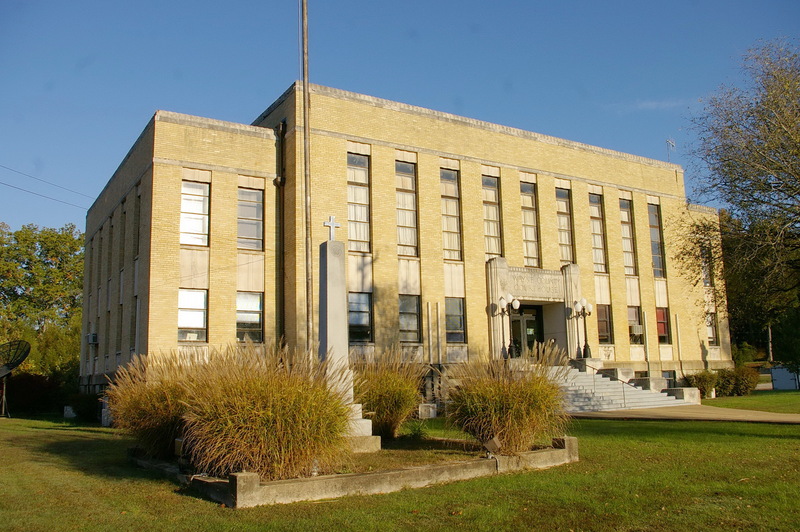 The building was rebuilt by C Lindeman and Son of Cape Girardeau in 1893 at a cost of $7000. 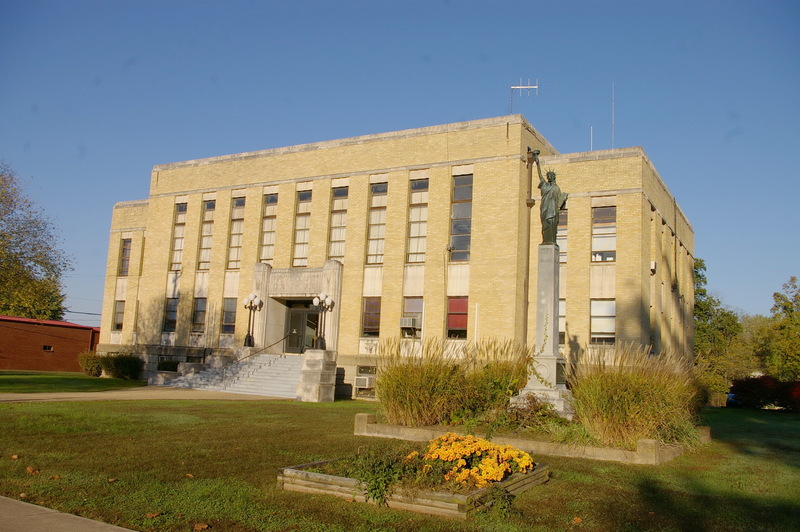 In 1925, the next courthouse was designed by Martin Laubis of Poplar Bluff.